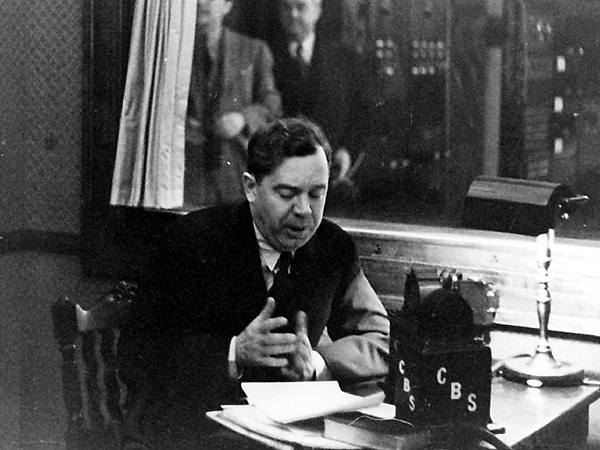 In a national radio speech on February 23, 1934, Huey Long unveiled his “Share Our Wealth” plan, a program designed to provide a decent standard of living to all Americans by spreading the nation’s wealth among the people. Long proposed capping personal fortunes at $50 million each (roughly $600 million in today's dollars) through a restructured, progressive federal tax code and sharing the resulting revenue with the public through government benefits and public works. 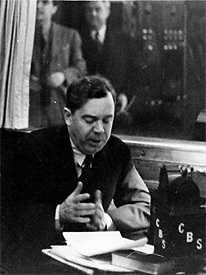 In subsequent speeches and writings, he revised his graduated tax levy on wealth over $1 million to cap fortunes at $5 - $8 million (or $60 - $96 million today). 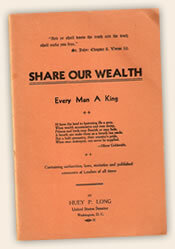 The full text of this speech, as printed in Long's official Share Our Wealth pamphlet (see right), appears below.